Rome is home to some of the world’s most iconic sights which are usually first on the list for most tourists. However the city also boasts many smaller, less-renowned attractions which allow visitors to hop off the beaten path and escape the crowds. Here is a list of some of the Eternal City’s often-forgotten gems. 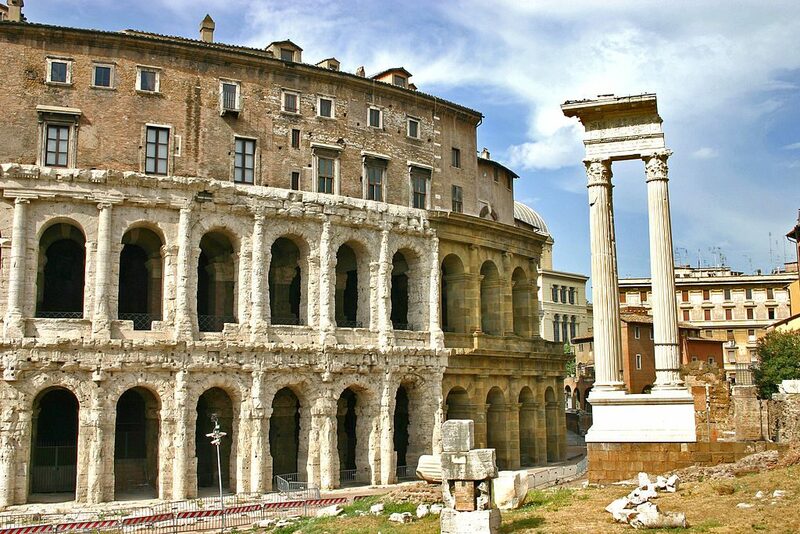 Despite the two buildings bearing more than a passing resemblance to one another, the Theatre of Marcellus actually pre-dates the Colosseum by almost a century and certainly provided an inspiration for Vespasian’s amphitheatre. Begun by Julius Caesar and inaugurated by Augustus in 12 BC, it is dedicated to the nephew and heir of the latter who died before it was completed. Although the site can only be viewed from the exterior, in the summer classical music concerts are held regularly at the theatre, allowing participants a peak inside. For a sunset hangout spot away from the crowds and the hawkers, do as the hip, young Romans do and head to this quaint little piazza in the trendy Monti neighbourhood. Summer evenings see the square’s pavement cafes spill out onto the street as musicians and entertainers pass through. Grab a cold beer from one of the nearby bars and join the throng on the steps of the picturesque fountain. 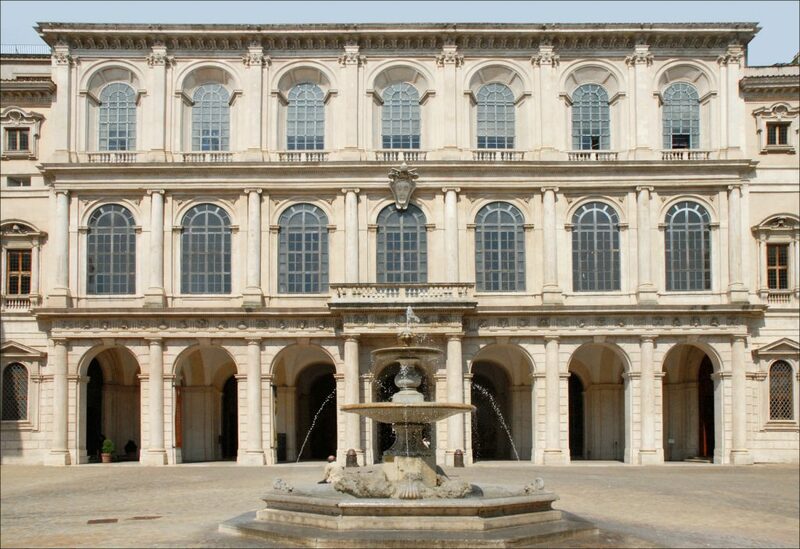 Although situated in the heart of the city on Via del Corso, few tourists venture into this quiet haven, missing the opportunity to view the stunning private art collection of the Doria Pamphlj family. With works by renowned names such as Caravaggio, Raphael and Titian housed in sumptuous surroundings, this is the perfect antidote the heaving crowds of the Vatican Museums. 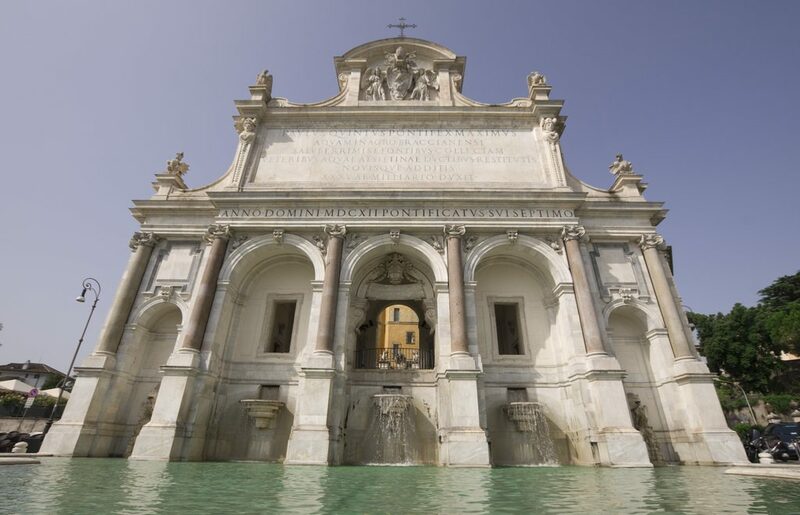 For an equally impressive fountain with the added bonus of a breathtaking view, take a trip to the Gianicolo hill where the Fontana dell’ Acqua Paola (known to locals as Il Fontanone, ‘the big fountain’) sits proudly in an enviable position overlooking the Eternal City. Built in 1585-1588 by Pope Sixtus V it provided inspiration for the Trevi Fountain, built almost 200 years later. Tucked between Campo de’ Fiori and the Tiber River, the beautiful Piazza Farnese often goes unnoticed and subsequently provides a tranquil escape from the hustle and bustle. Dominated by the spectacular 16th century Farnese Palace which now houses the French Embassy. The piazza also features two identical fountains featuring ancient granite basins from the Baths of Caracalla. Palazzo Massimo, known as the National Roman Museum, is conveniently situated close to Termini train station and houses some of the city’s most important archaeological finds. The collection ranges from statues and sculpture to jewellery and coins and don’t miss the second floor where the beautiful frescoes and mosaics are on show. This fabulous 17th-century palace was built for Pope Urban VIII Barberini and designed by two of Rome’s top architects Bernini and Borromini. It now houses the the Galleria Nazionale d’Arte Antica (National Gallery of Antique Art) and features iconic works such as Raphael’s portrait of his mistress La Fornarina and Caravaggio’s Judith Beheading Holofernes. Emperor Caracalla’s immense bathhouse was constructed between 212-217 AD and, although now deprived of the marble and decorations, the brick remains give an idea of the huge scale and size of the buildings. Although visitors can wander through the evocative site during the day, one of the best ways to view the ruins is to attend one of the summer opera, ballet or music concerts held each year in June and July. For a little outdoor relaxation and to take a break from the city head to Rome’s largest public park, Villa Pamphili which is located south-west of the centre, across the Tiber river. With an area of over 450 acres the park features not only a scenic lake but also landscaped gardens, woodland and beautiful lawns making it ideal for a summer picnic. 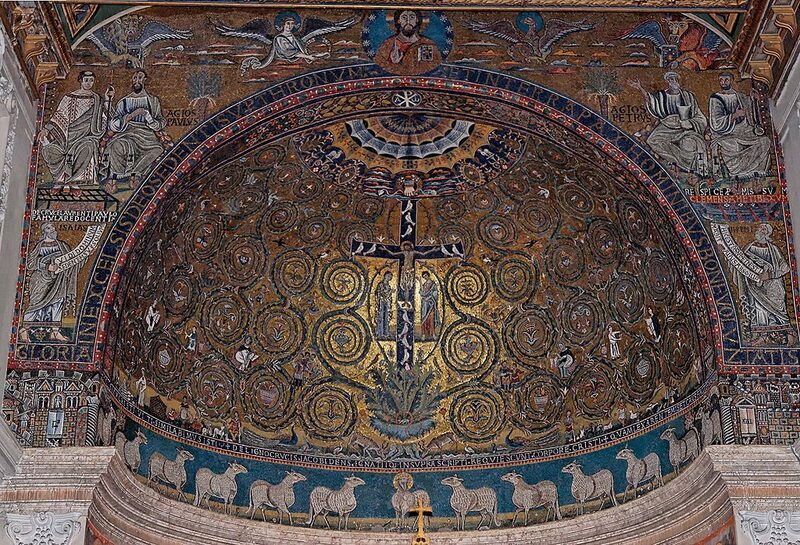 The unassuming church of San Clemente lies a short walk from the Colosseum and not only boasts some of the city’s most stunning mosaics which date from the 12th century but also allows visitors to descend below ground to explore two earlier layers of the building. The second level features the remains of a previous church from the 4th century while the lowest floor was originally a Roman home from the 1st century which was later converted into a Mithraeum. A fabulous place to literally see and understand the fascinating layered history of Rome.